The FLAME 1000 Quadon can be built in front of a Quad. 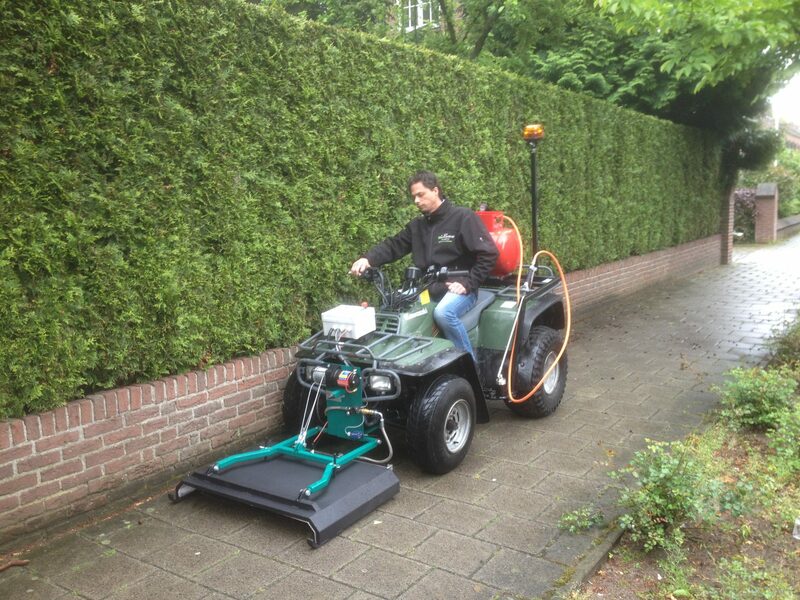 An effective combination; the comfort and the speed of the quad combined with the efficient work of the FLAME 1000. The burner is equipped with infrared heating, reducing and burner control with ionization monitoring and electronic ignition on quad. 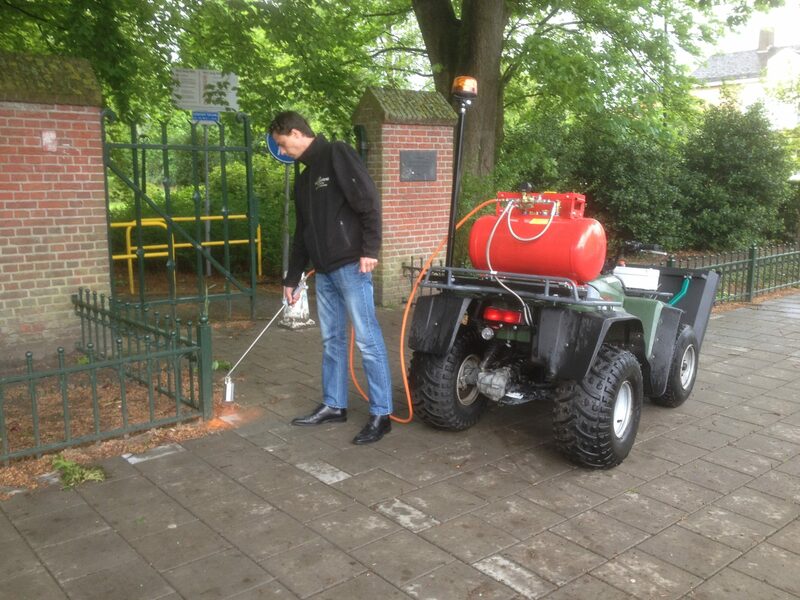 Equipped with a 38L LPG gastank and an optional powerful HB Powerbrander (hand lance ) hard to reach places such as corners and edges can be simply and quikly removed from weed and vegetation (spot wise threatment). Excellent in spot wise threatment of weed and vegetation. Easy for transport, fast and manoeuvrable.